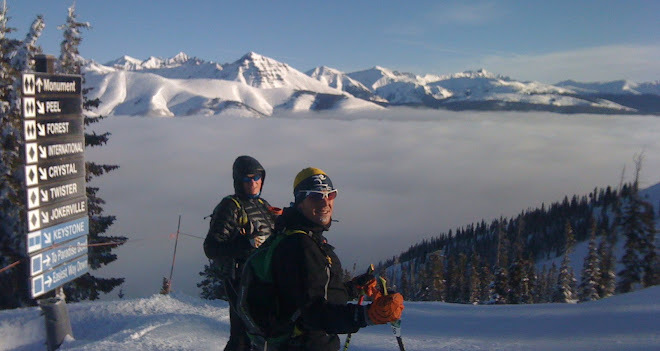 The Gore-Tex Grand Traverse ski race has become legendary around these parts, as it traverses an old mail route from the 1880's and links what is now two iconic ski towns; Crested Butte & Aspen. The Crested Butte Nordic Center now runs the ski race and has done a great job in its first year in taking over the reins. 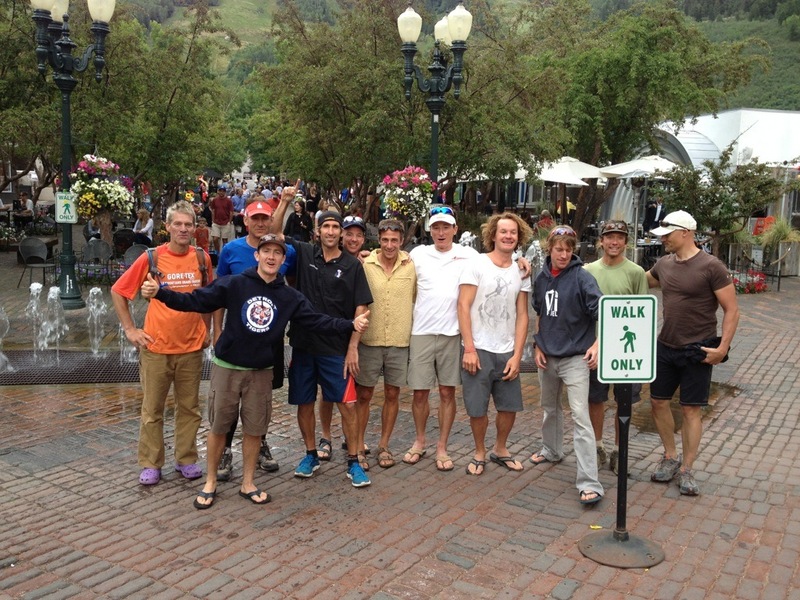 Most athletes in the ski race typically stay in shape over the Summer via a bike or running....so with that in mind, we organized a "feasibility study" and gathered a few hearty trail runners to run the Winter ski route, in the Summer. 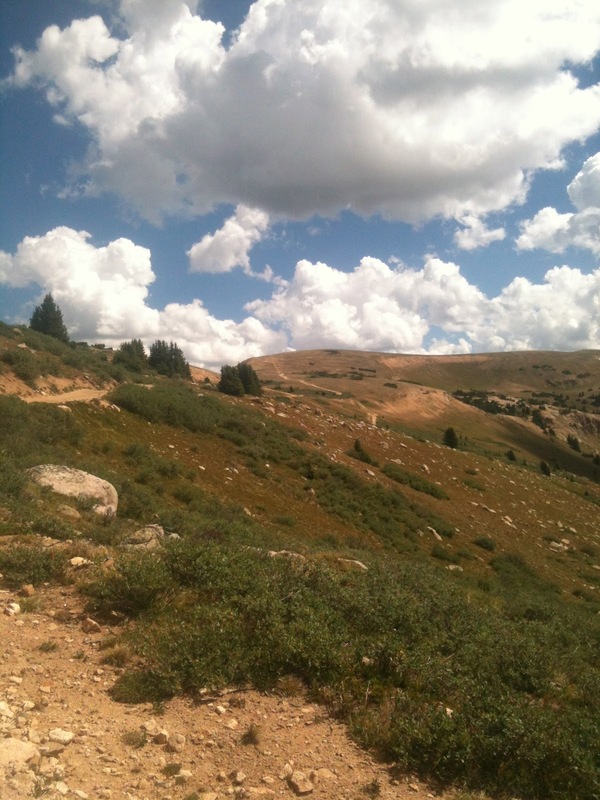 If all goes well the Crest Butte Nordic Center may launch a 2013 Grand Traverse run & bike race. The entire route is on marked single & double track, crossing the same high alpine terrain....making for a spectacular 39 mile run with just about 8,000ft of vertical. The same route we ran can also be ridden by a mtn. bike or moto for that matter. 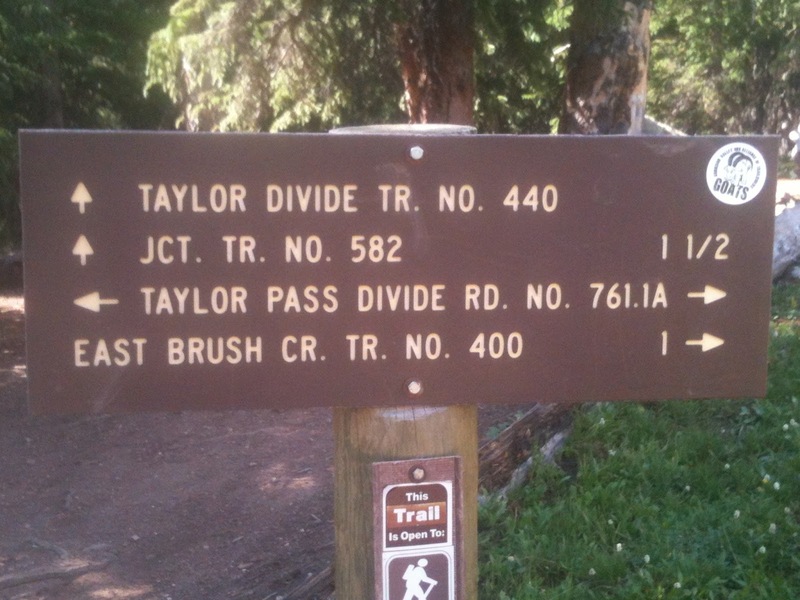 We ran the route, leaving the CB Community school at 5:30am this past Saturday, arriving at the top of Star Pass in about 3hrs and 30 minutes...another hour and fifteen minutes to Taylor Pass. From Taylor to Barnard Hut took us about 62 minutes and the final push from Barnard to the Aspen Sundeck was about 90 minutes. Town to Town was done in about 8 hours and 20 minutes! 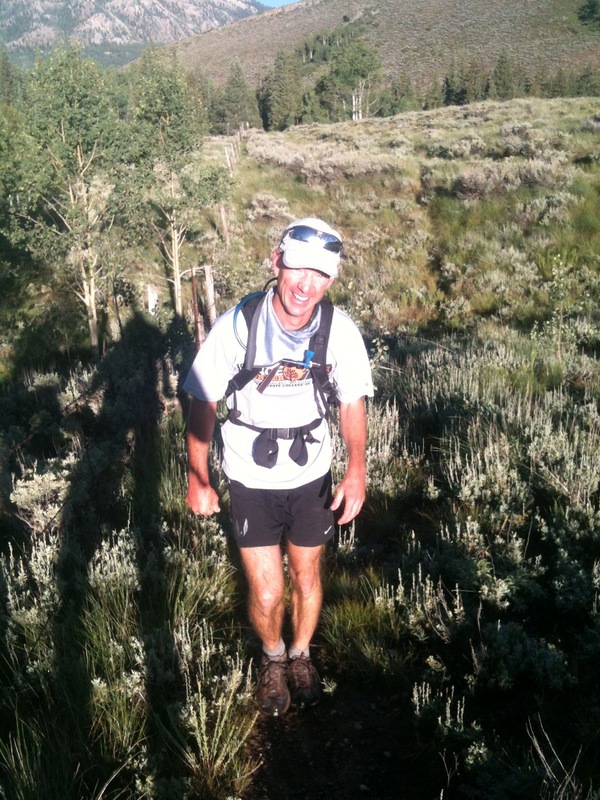 We are are quite certain that if the race is done with several aid stations, allowing top runners to travel ultra light & fast...... a sub 7:30 time is very real. The fastest ski time is about 7:23 (including a 10 minute mandatory rest stop...effectively that would mean about 7:13). I think the top runner in the next several years will be able to beat the fastest ski time! Wow...tough to comprehend, but I be it will be proven so. 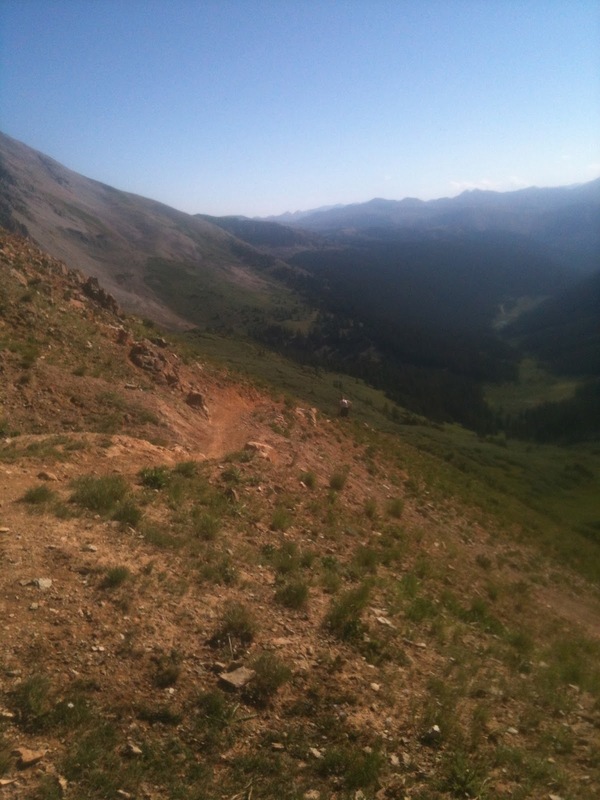 Backside of Star Pass...Summer Singletrack! 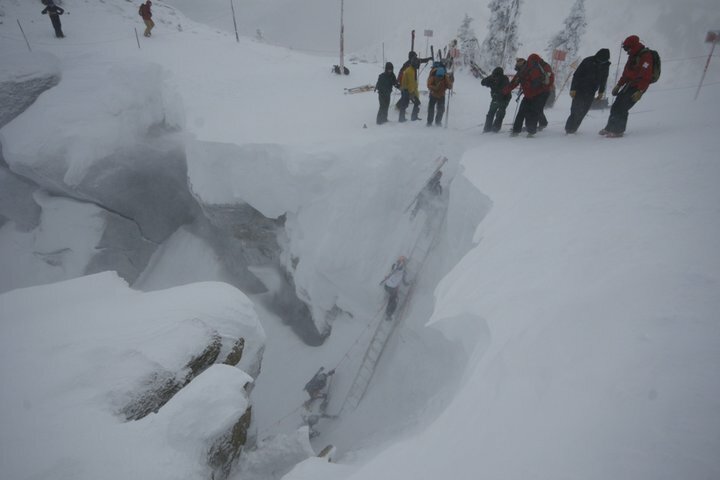 Coming down Aspen Mtn...who let that snowboard in! Aspen...you can almost taste the beer!